If you enjoy reading my blog, then I think you will really enjoy all these FREE online magazines. I also really enjoy them!!!! 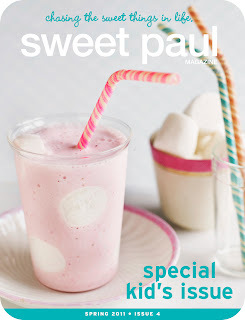 SWEET PAUL: This one is by far my favorite online magazine so far. The content is amazing, from fashion to Do-it-yourself projects and some really great recipes (I haven't tried any of them yet, but they sure look yummy!) The photos are lovely, they make you salivate and want to try everything. If you have KIDS, then you have to check this one out... I promise you won't be dissapointed!!!! PAPIER MACHE: I don't know what it is with the Australians these days, but they sure have the children fashion world down pat! 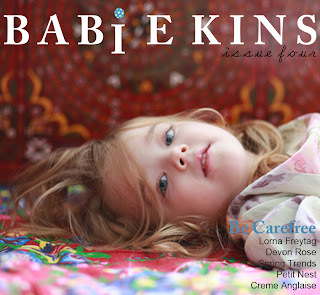 This online magazine is a great inspiration, lovely pictures and they really know their stuff. 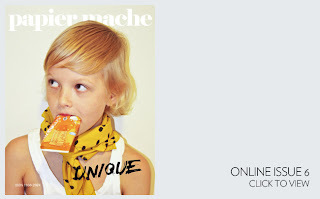 Papier mache’s online and print (you can also get a printed copy now!) platform aims to showcase artists, photographers, designers, illustrators, writers, inventors, creators, kids, dreamers, doers and magicians. 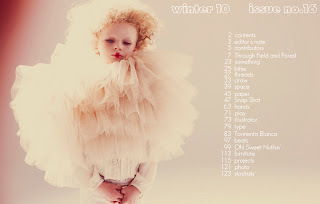 SMALL MAGAZINE: This is another great children's fashion magazine. Lot's of illustrations and some trend spotting and great fashion photography. I hope they come out with a spring issue real soon! 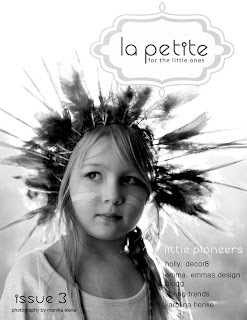 LAPETITE: A fashion magazine for little ones.... watch out, there are over 200 pages! It's worth it!!! I'll be adding more magazines as I come accross them!